Reyna was born in Tijuana, Mexico. She grew up in City Heights, San Diego. Reyna right before 6th grade was given an opportunity to attend the Preuss School UCSD. 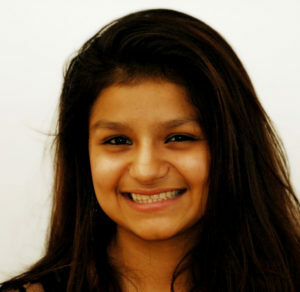 Her attendance at Preuss afforded her the chance to attend Access Youth Academy and learn to play the game of squash. When she first started out, her grades were low, she let her emotions control her, and she was not set on attending a college. However, due to the transformative nature of squash and the urban squash program known as Access, Reyna raised her grades, learned self-discipline, and became passionate about accomplishing the goal of higher education. In 2013, Reyna made the trek over to the home of the International Olympic Committee (IOC), Lausanne, Switzerland. Along with the help of James Willstrop, the former squash world champion, she petitioned the IOC to induct squash as an official sport of the Olympics. Through Access, Reyna went from having little to no ambition for college to attending Columbia University and representing the sport of squash for the Executive IOC board.